The UK government published its new Brexit backstop plan yesterday, with No. 10 and David Davis both claiming victory, despite the fact that we’re all supposed to be in this together. The Brexit Secretary had insisted that an end-date must be included in the formal proposal for the Northern Ireland backstop and, while it is true that the backstop plan included an end date of December 2022, the wording was far from emphatic, as it says the government ‘expects’ the backstop to cease to apply by December 2022. Theresa May’s spokeswoman played down reports of tensions between the Prime Minister and several cabinet ministers, but did confirm that the December 2022 date is not legally binding (though not in so many words). Still, it must go down as a good day when parties on both sides of an argument believe they have emerged victorious. It remains to be seen whether the EU will accept the terms of the plan, but the European parliament’s lead spokesman, Guy Verhofstadt, suggested that the plan is not a workable solution. The currency markets were relatively quiet, although the euro was the best performer of the day, moving a little higher against sterling and posting some decent gains against the dollar. The third estimate of the eurozone’s GDP growth rate for the first quarter of 2018 came in as expected, but factory orders in Germany tumbled by 2.5% when they had been expected to grow by 0.8%. Initial jobless claims in the US came in better than expected, and figures released by Halifax showed that UK house prices rose by 1.5% in May. Today we will see Germany’s balance of trade report for April and the European Central Bank’s Yves Mersch is set to give a speech. However, it is reasonable to think that the headlines will be dominated by continued discussion of the Brexit backstop plan and whether the UK and EU will come to an agreement on the terms. 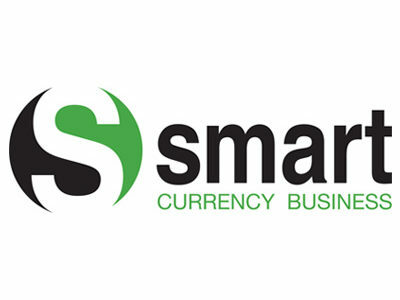 If you know a business with exposure to foreign currency and believe they might benefit from the expertise of the wonderful team at Smart, then why not refer them? Smart will speak to them to find out more about their foreign exchange requirements and when they make their first trade, they will send you an M&S voucher worth £50.